NYCH’s Newcomer Connections for Senior Caregivers program offered an English Conversation Circle at the Jane Street Hub from May until July. Twenty senior caregivers (older adults who are informally supporting a family member or friend) participated, and five volunteers facilitated the groups. We’d like to acknowledge the time and dedication of NYCH volunteers. We are also grateful to the Tamil Seniors of Self-Reliance group leaders for introducing us to their participants and friends! 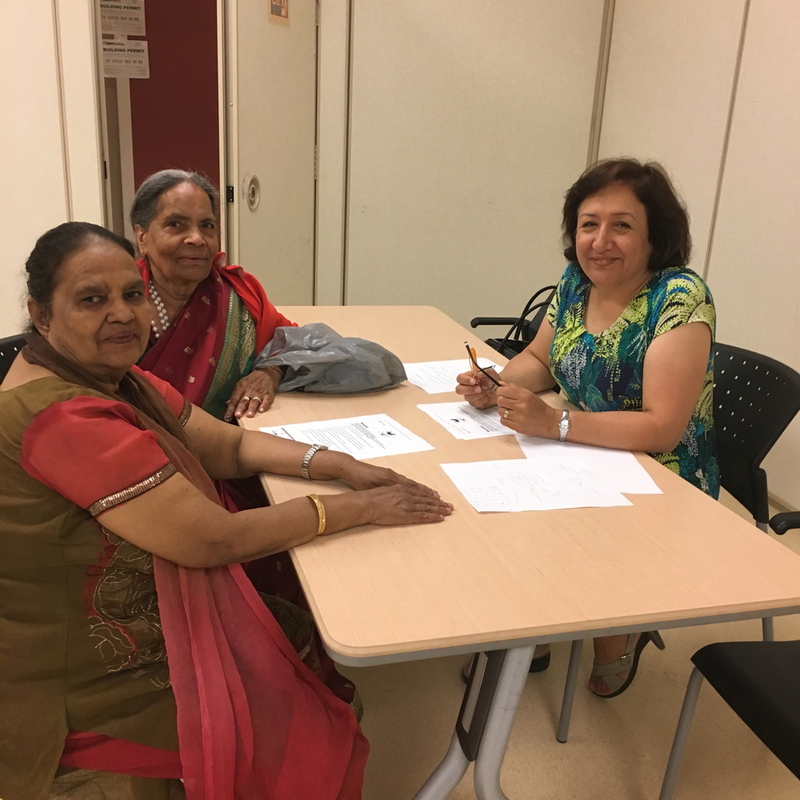 For more information on our Friendly Visiting program, educational workshops, and group activities for senior caregivers, please contact Shova Adhikari: sadhikari@nych.ca or 647-208-9733.